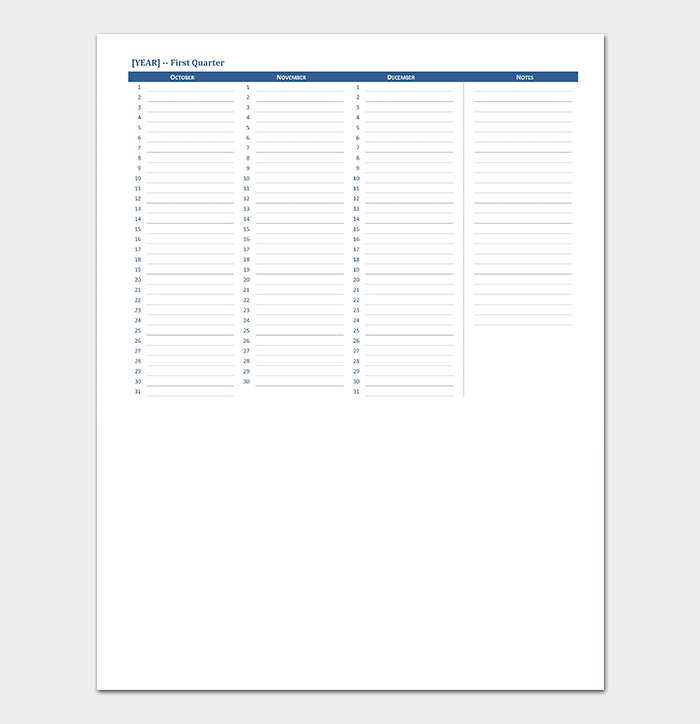 Disorganization is a common problem many people all over the world face. 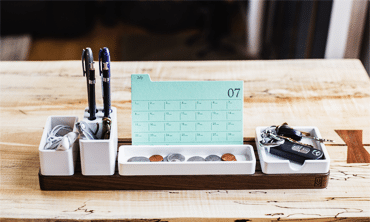 Wanting to stay organized is something most people want but they just don’t have the motivation or will-power to maintain. 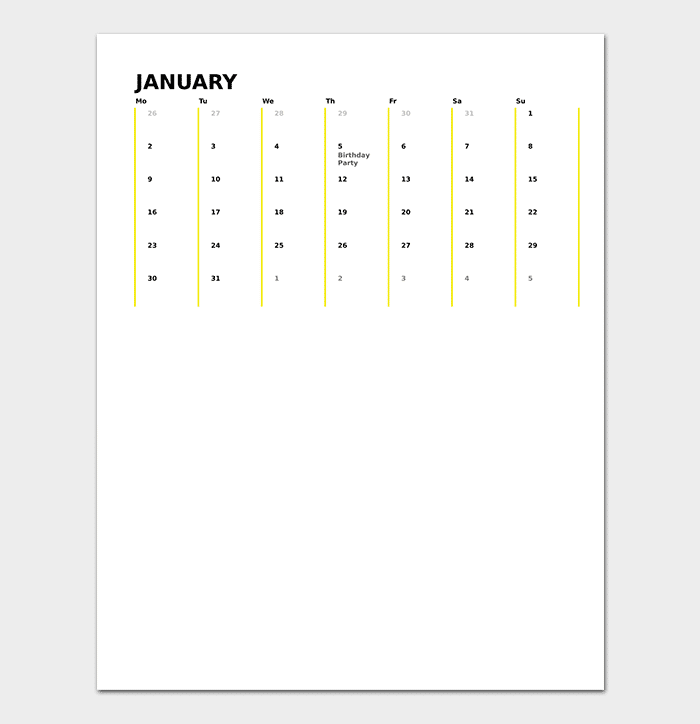 At one time, you must have made a New Year’s Resolution to become a more organized person. 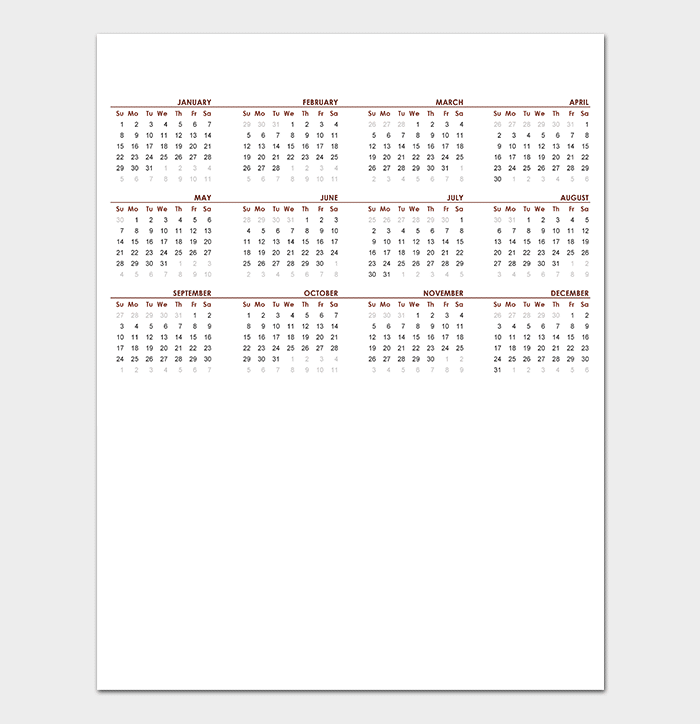 Of course, one would want to keep everything in order as it helps avoid missing deadlines or important dates. 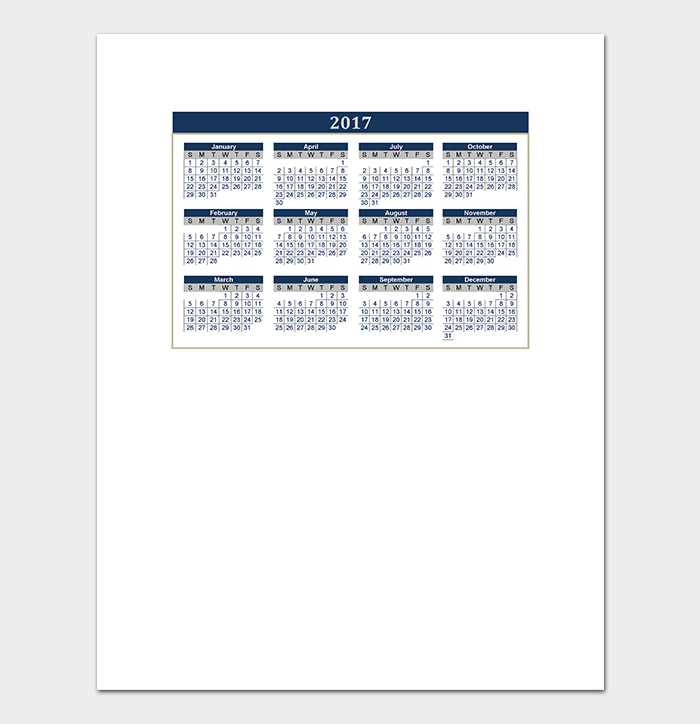 Whether you’re a student, an employee or have your own business, or are a homemaker, we all need reminders of any important upcoming events. 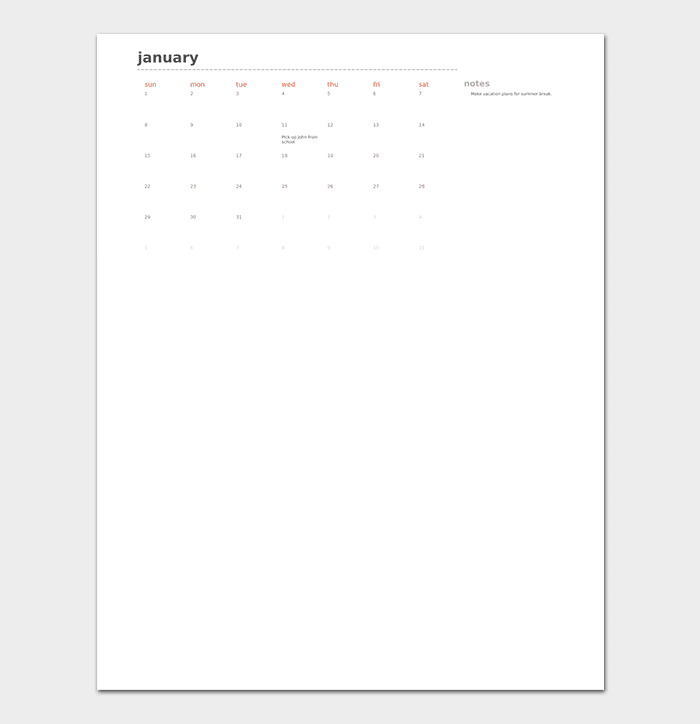 Finding a calendar template and printing it out is a step in the right direction to keeping things tidy. 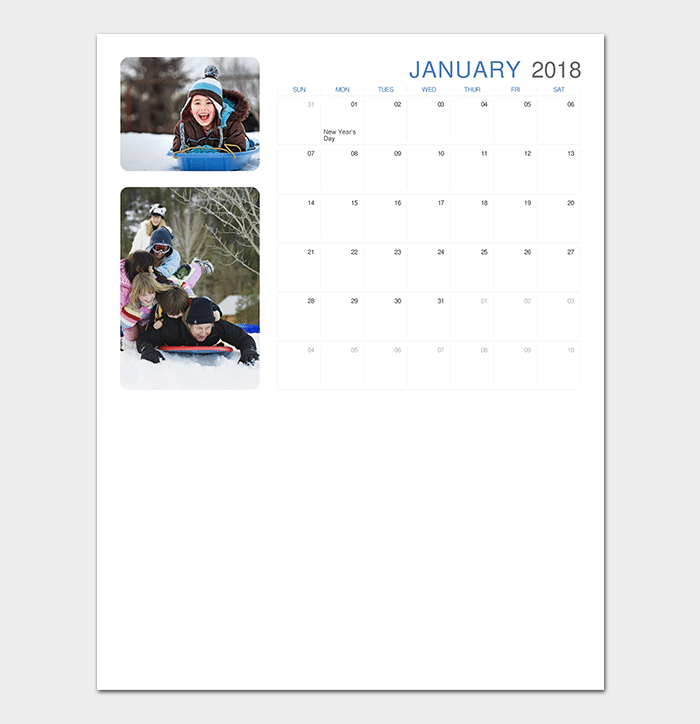 In preparation for the New Year, you may want to get a head start keeping things neat and in-control with a calendar template for 2018, 2019 or any year. 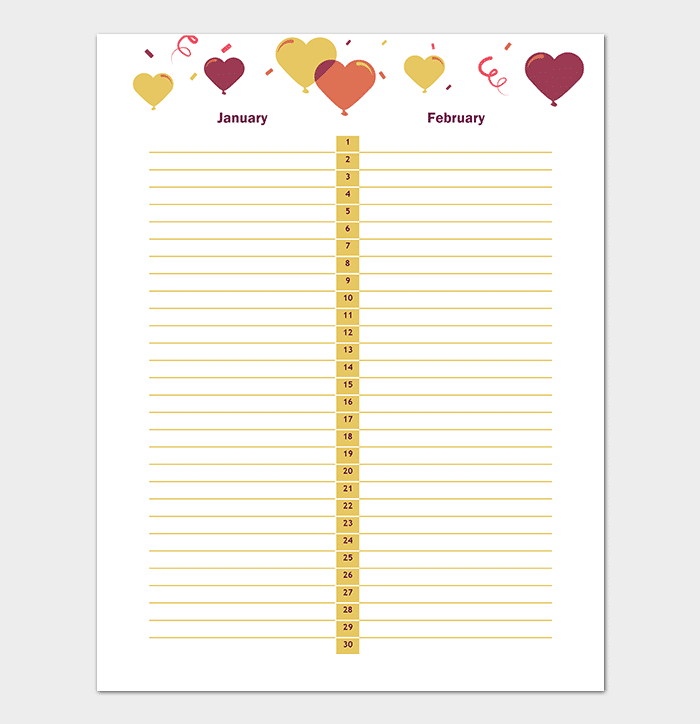 Here is a list of printable calendars to help you in staying organized. 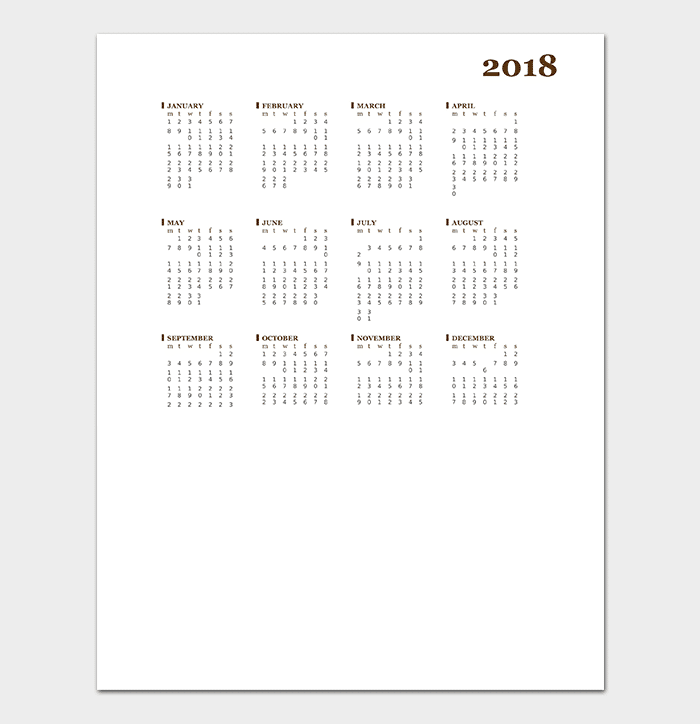 A 2018 calendar template for Word is a premade Microsoft Word file where each page of the document represents a different month of the year. 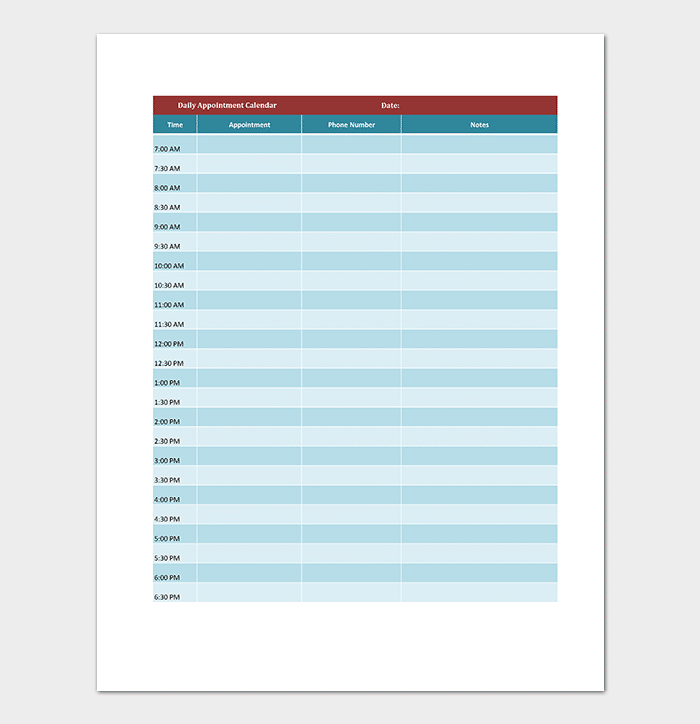 Similar to the template for Excel, access to Word files is also available on mobile devices when saved on a cloud or printable if you are more comfortable with having a hard copy. 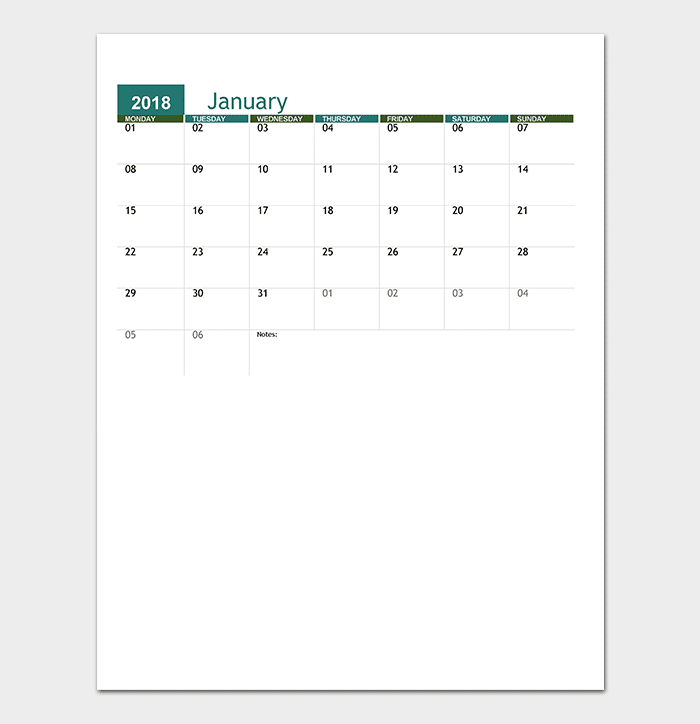 A 2018 calendar template for Excel is a pre-made Microsoft Excel file where each sheet represents a different month of the year. 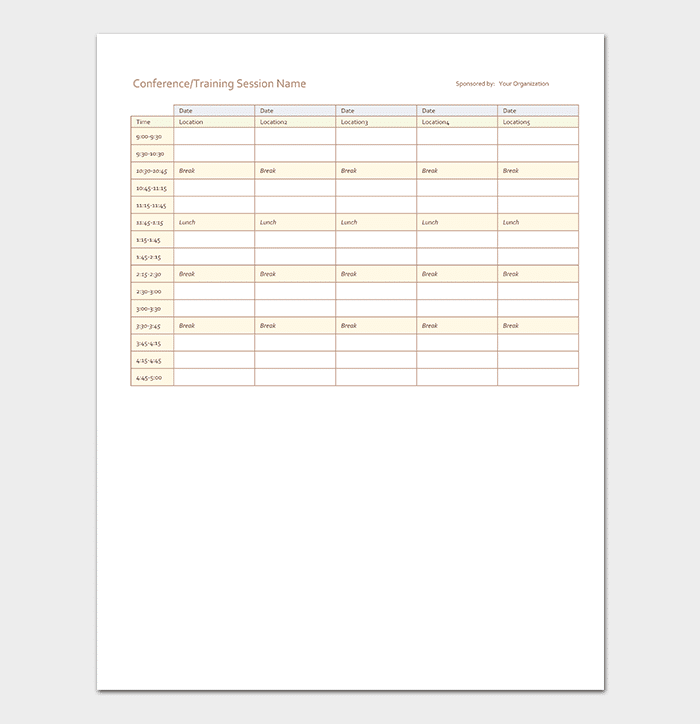 Nowadays people are able to access Excel files on their laptops or mobile devices, so making and following a schedule is a cinch. 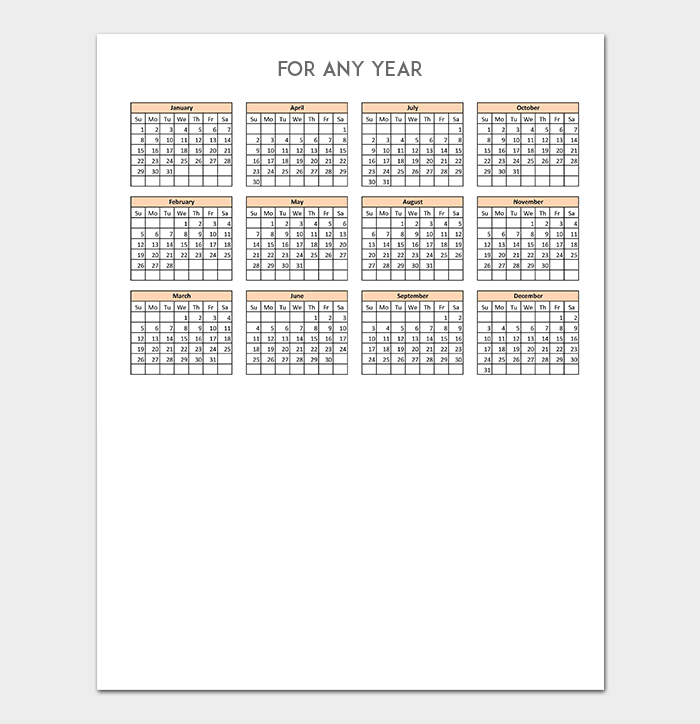 You can also print these calendars if you have been more prone to keeping schedules on physical documents. 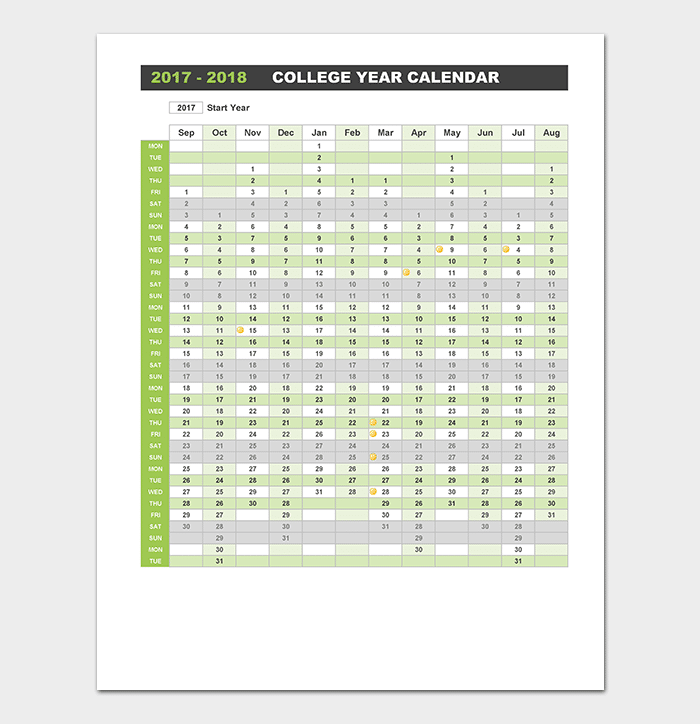 Assignment calendar template are premade calendars, either weekly or monthly, with description boxes or rows/columns dedicated to certain assignment subjects and types. 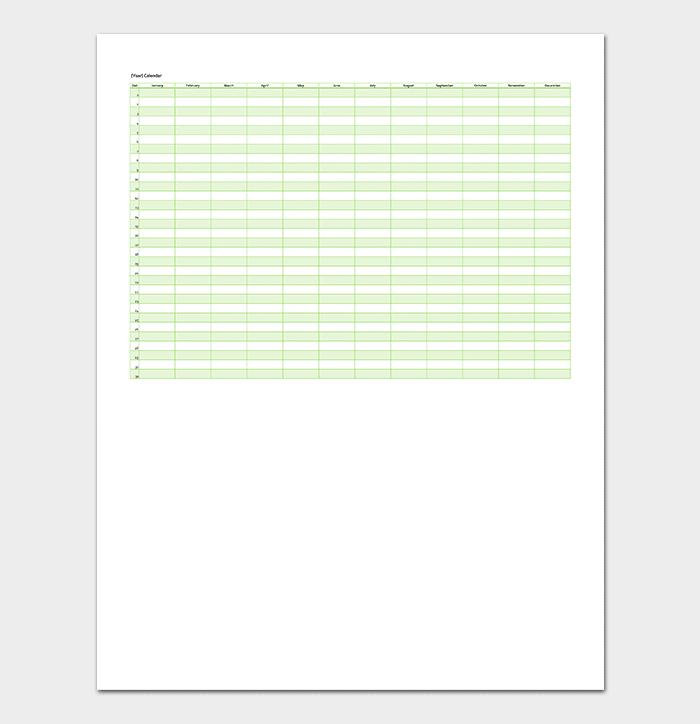 For example, you may have a biology report to hand in next week. 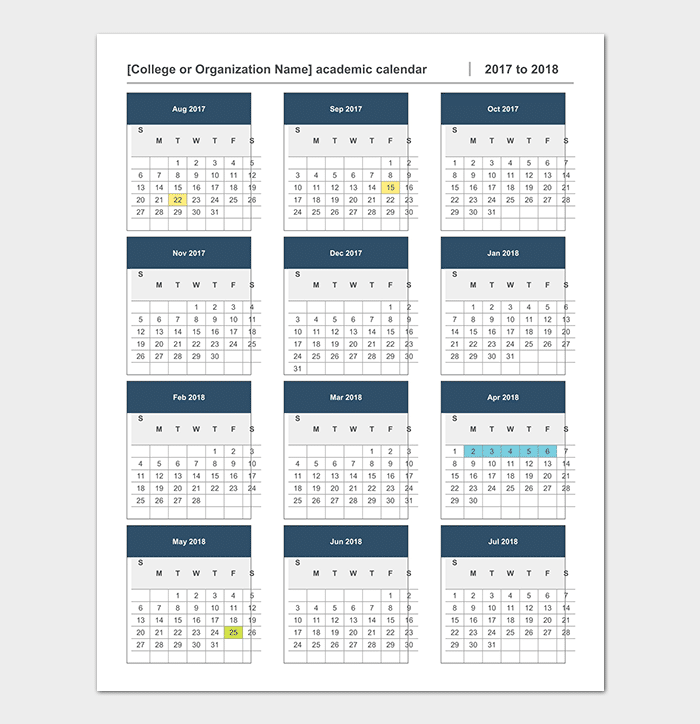 Assignment calendar templates were made to cater to students’ and workers’ needs to meet deadlines. 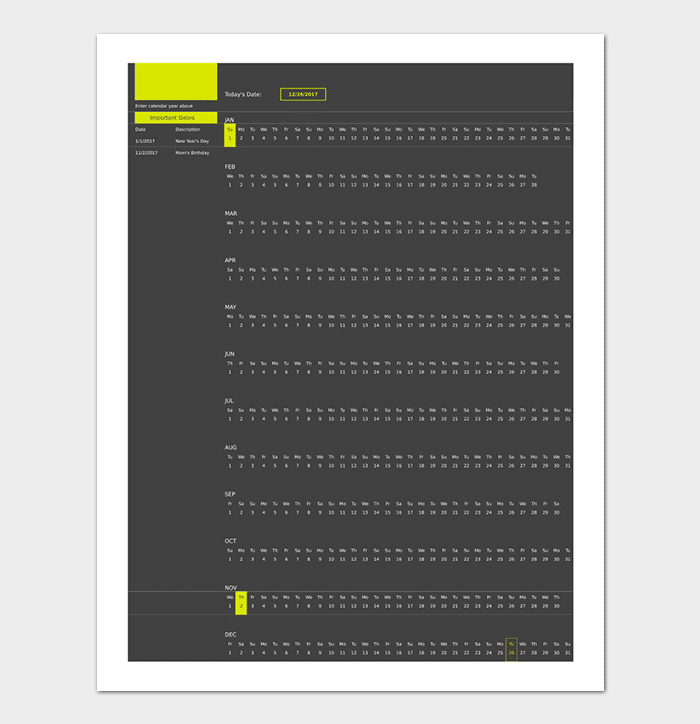 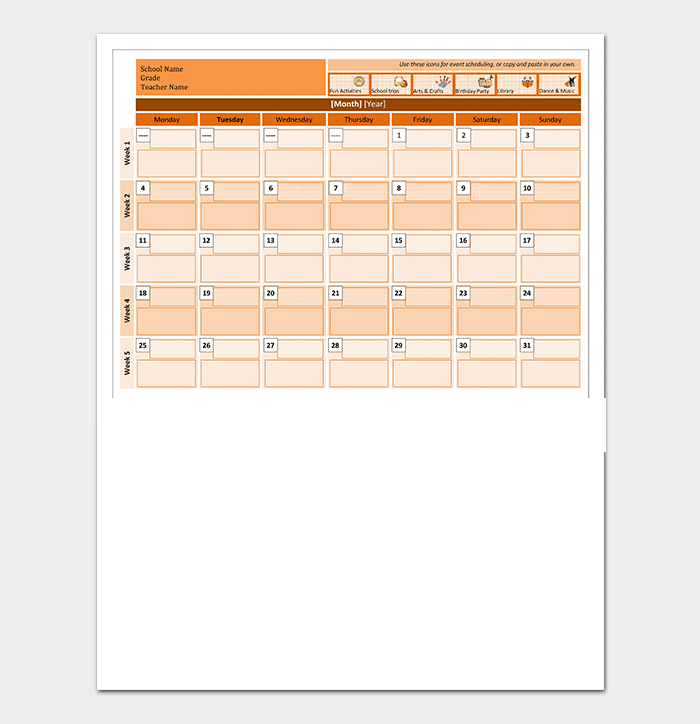 A blank monthly calendar is a template in the form a month for any designated month and year. 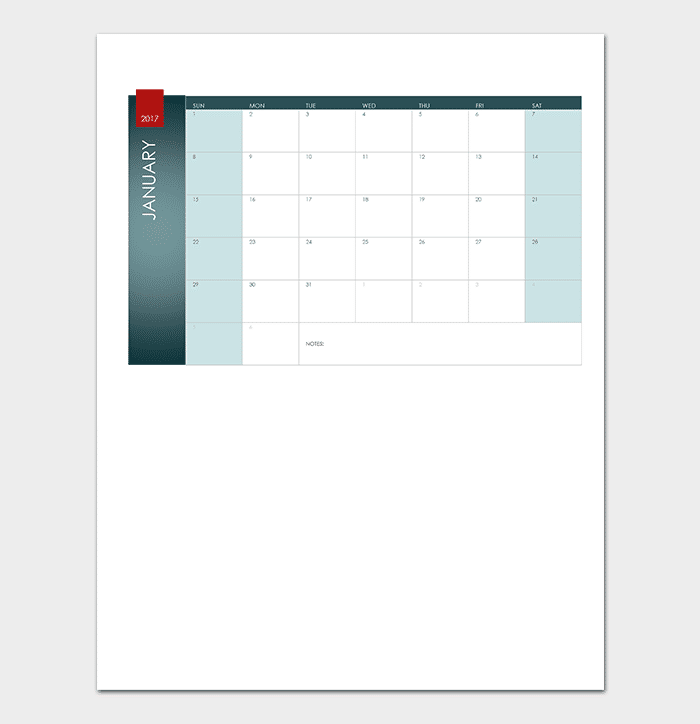 The template is the same for each month and the user is responsible for inputting the month and date (28 to 31 days). 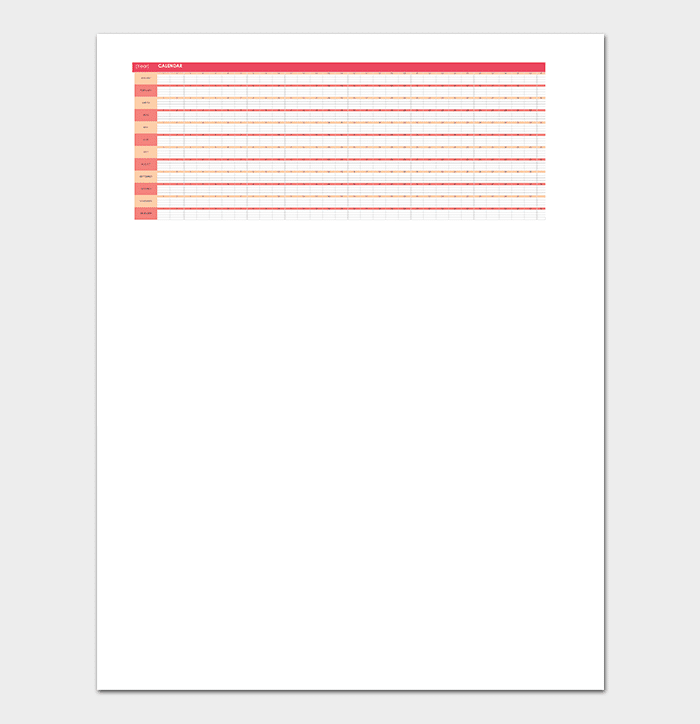 You can keep these on your gadget or print them out to hang up in your bedroom or study room. 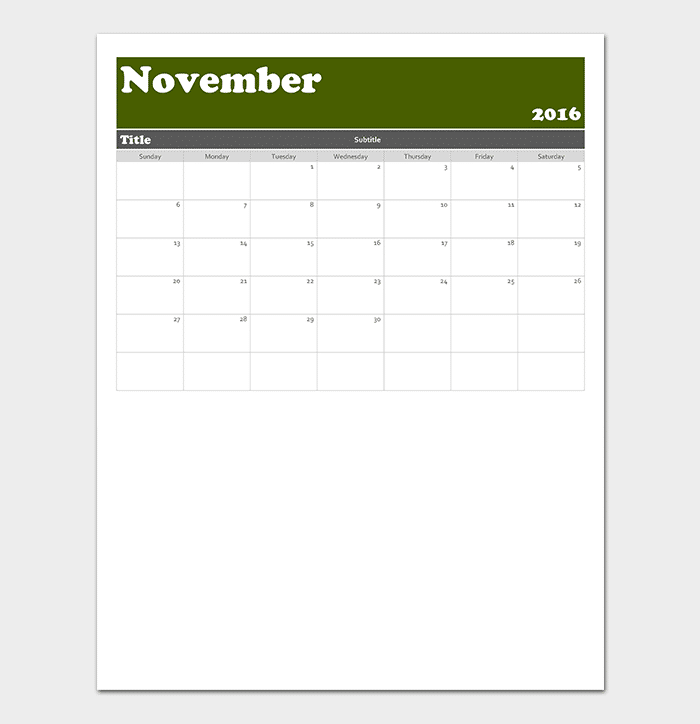 Just be sure to assign dates to the right days of the month. 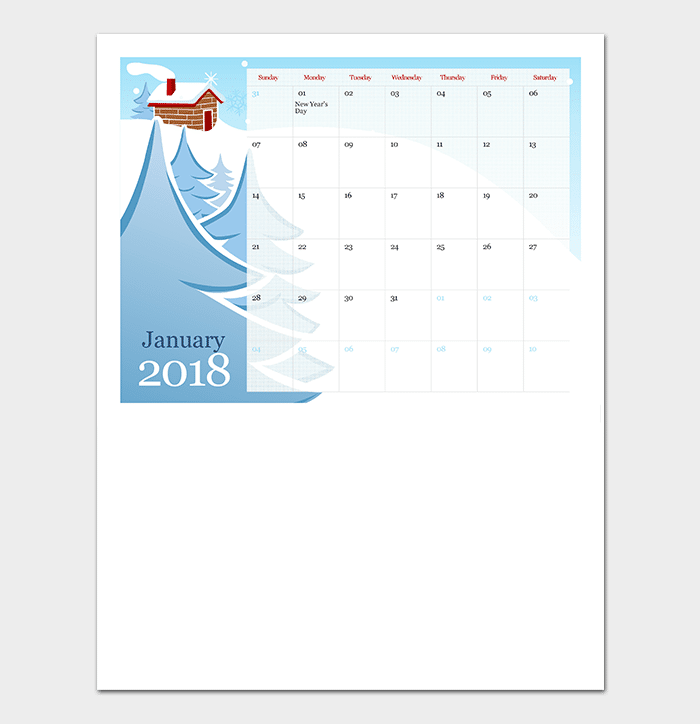 Free printable monthly calendars are calendars available online where the downloader can access and print calendar templates for any year. 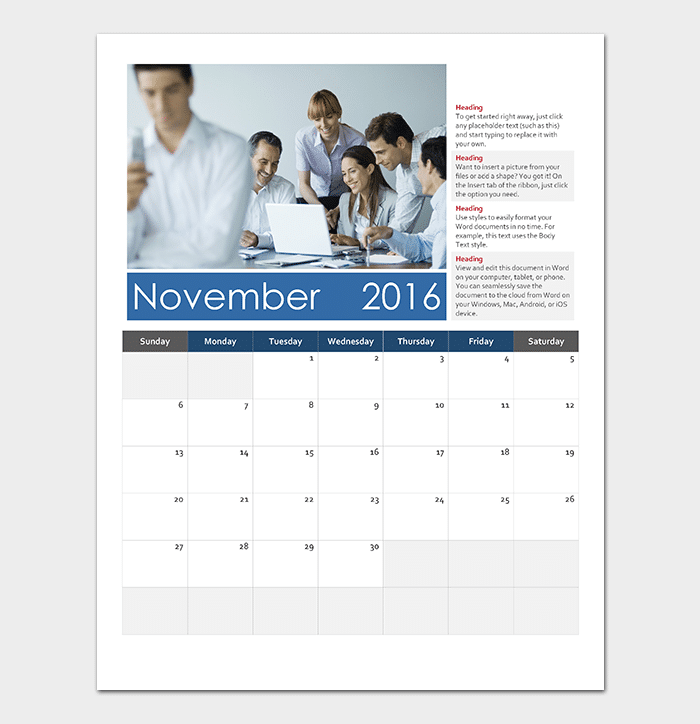 This is preferable to blank calendar templates since you do not have to manually set the day and date for each month of the year. 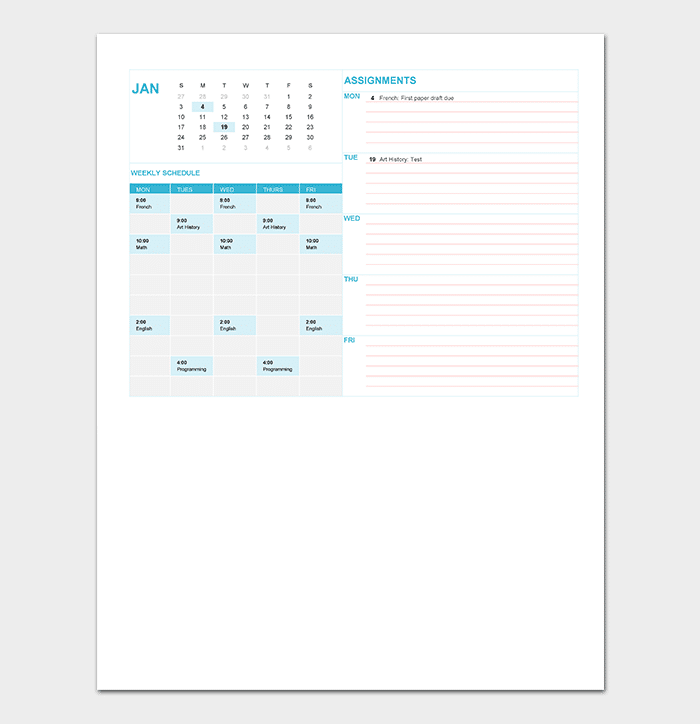 There are numerous templates available, so you can choose one that suits your needs and personality. 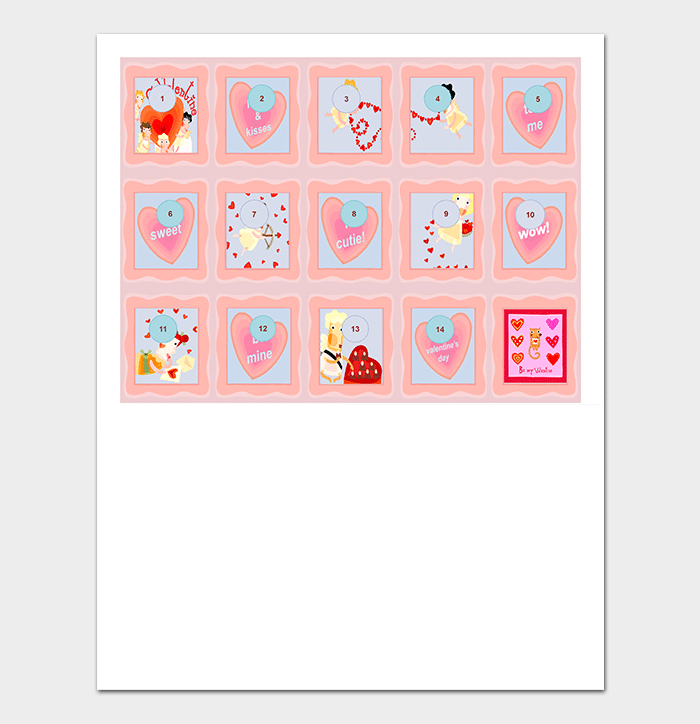 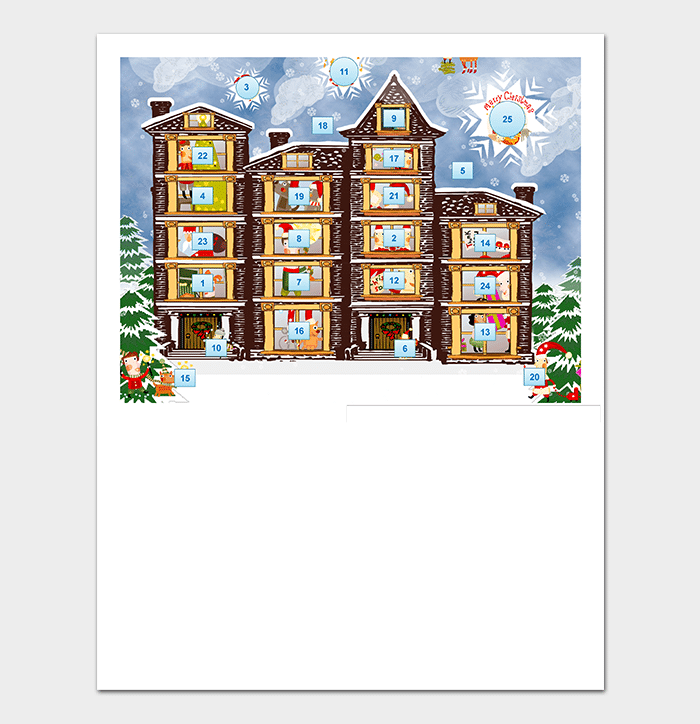 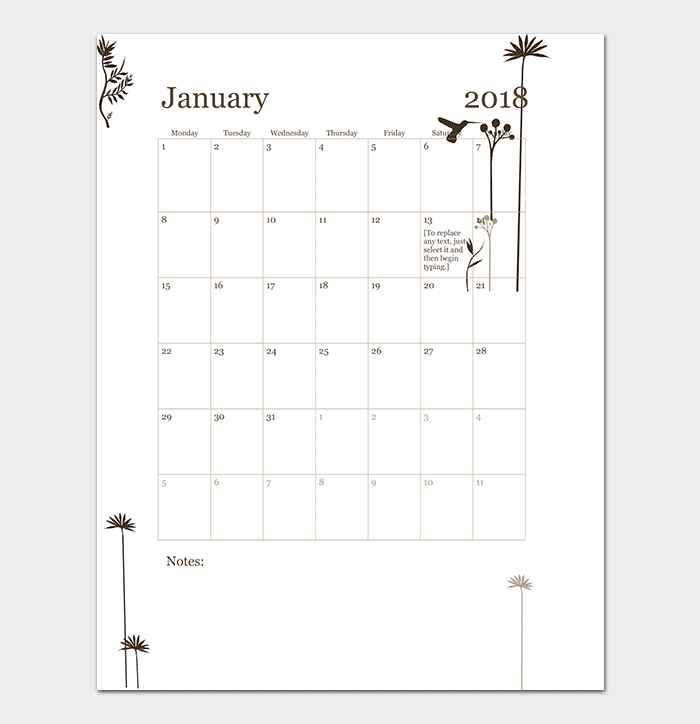 Calendar templates for any year are premade calendars made for any year in the future, present and past. 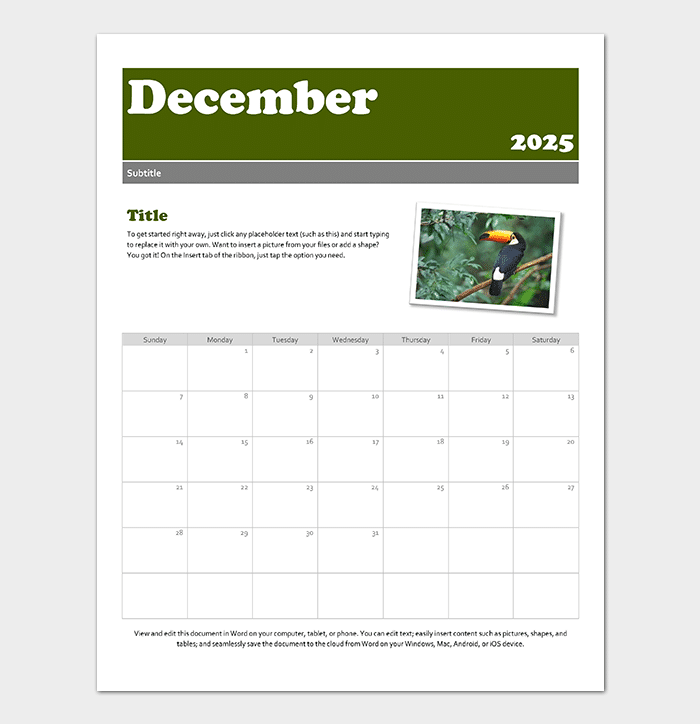 The layout of such a template depends on the user’s needs, and the most common forms are yearly and monthly calendars for each page. 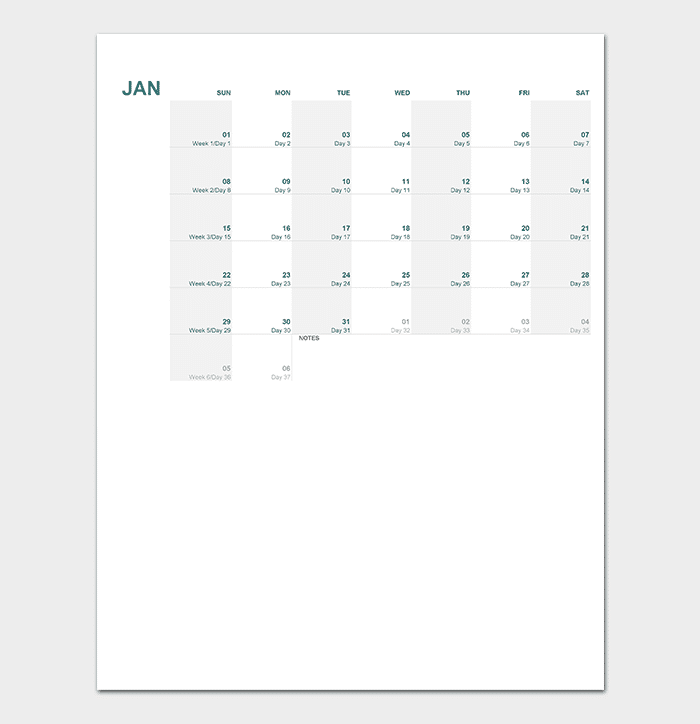 In general, the date boxes are too small to record any data, so you may just want to use keywords to describe any important dates. 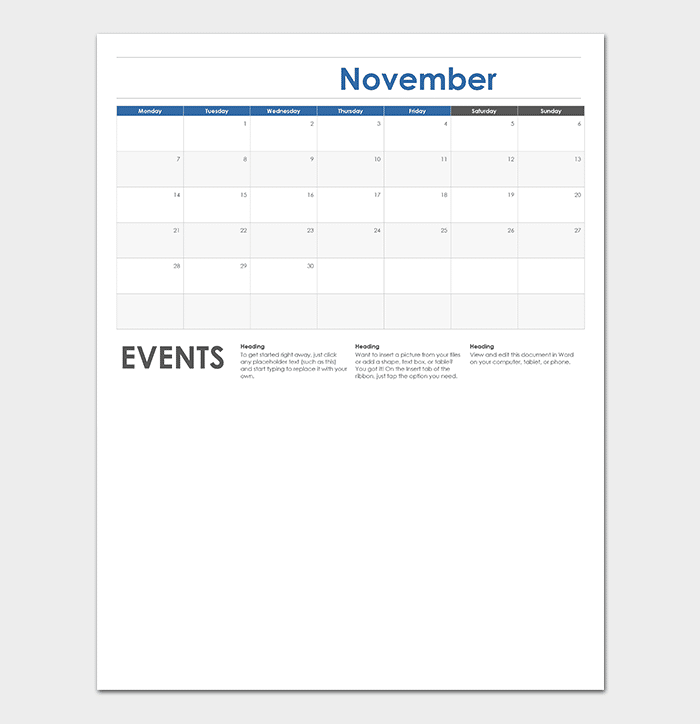 Weekly calendar template are premade calendars which only show one week of a month, opposed to the more traditional monthly calendar. 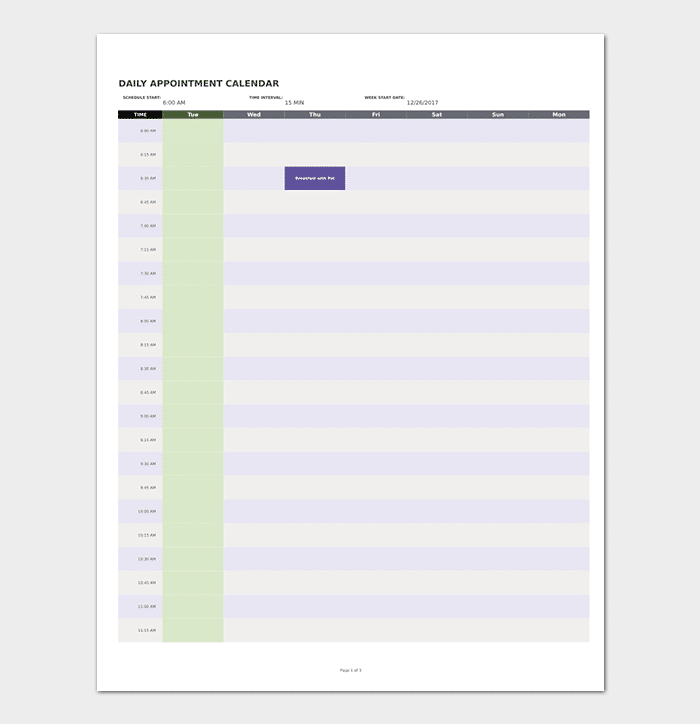 This helps students and workers keep track of shorter times in the future, making them more focused on meeting short-term deadlines. 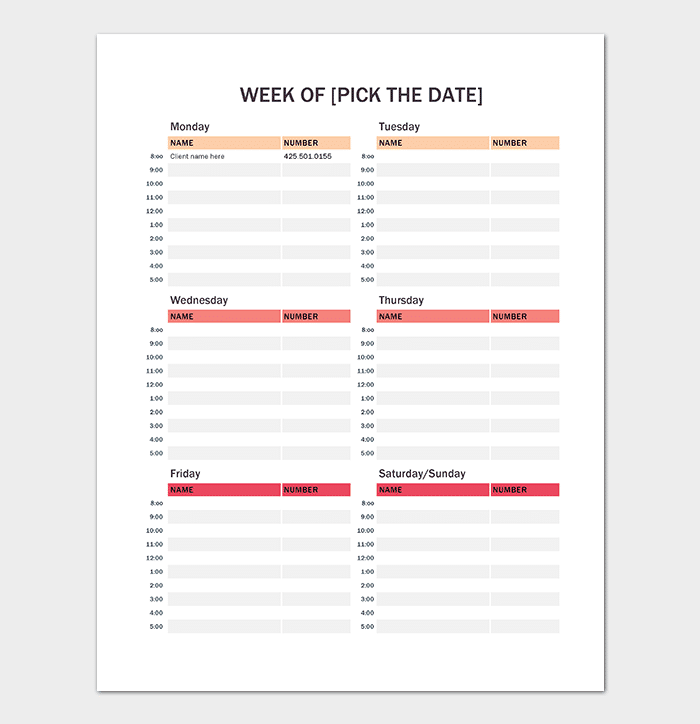 This is especially useful if you tend to forget regular weekly assignments or tasks. 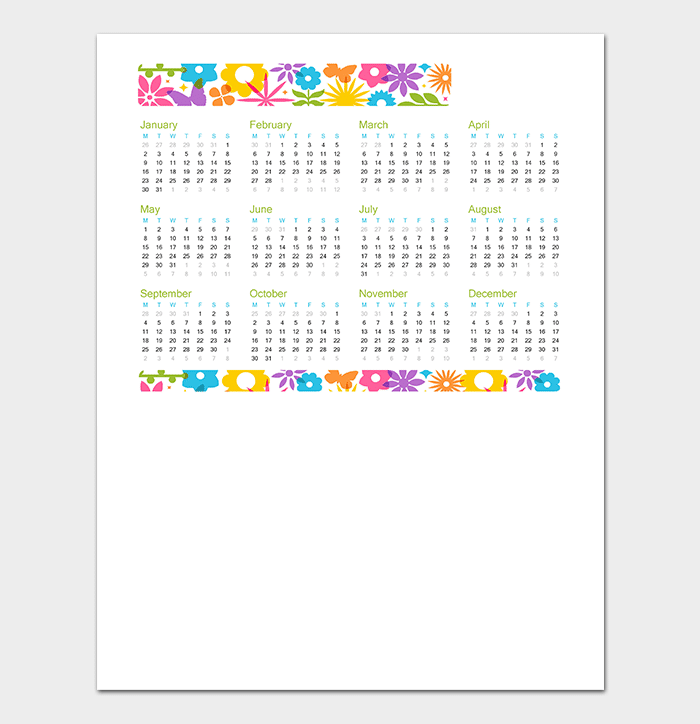 These are just a few types of printable calendar templates to choose from. 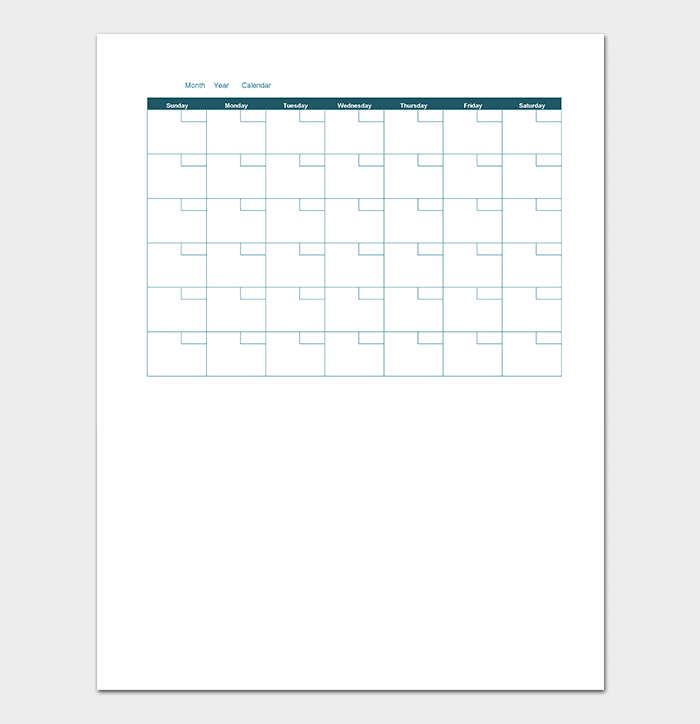 Whether you are in need of short-term or long-term organization, you will be able to find a calendar type that meets your every need. 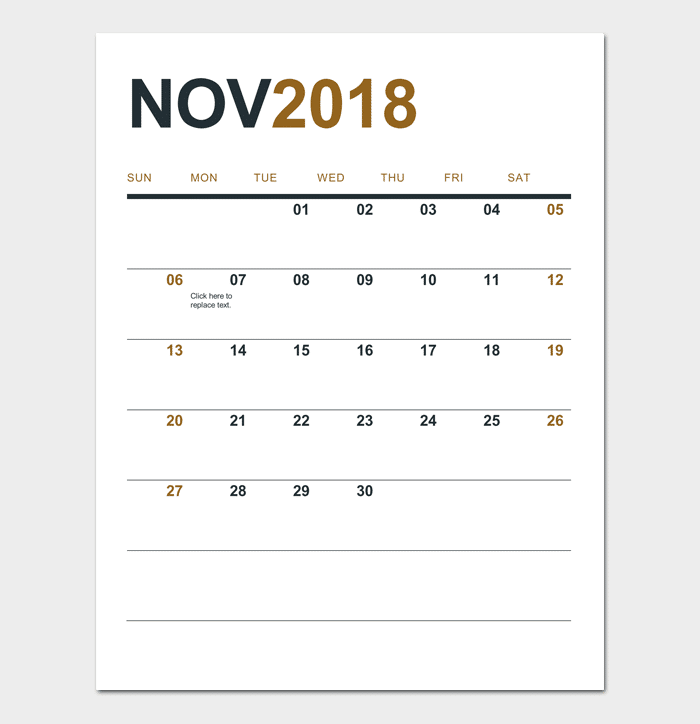 Some would argue that recording future events in a calendar or social media app on your smartphone is the modern, more efficient way to be reminded. 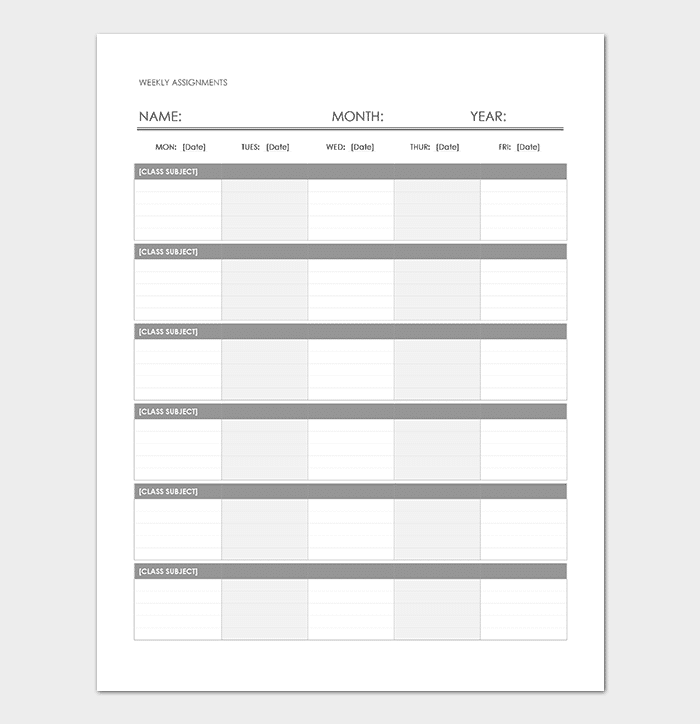 However, these apps do not offer the real feel of sticking to a timeline or meeting deadlines. 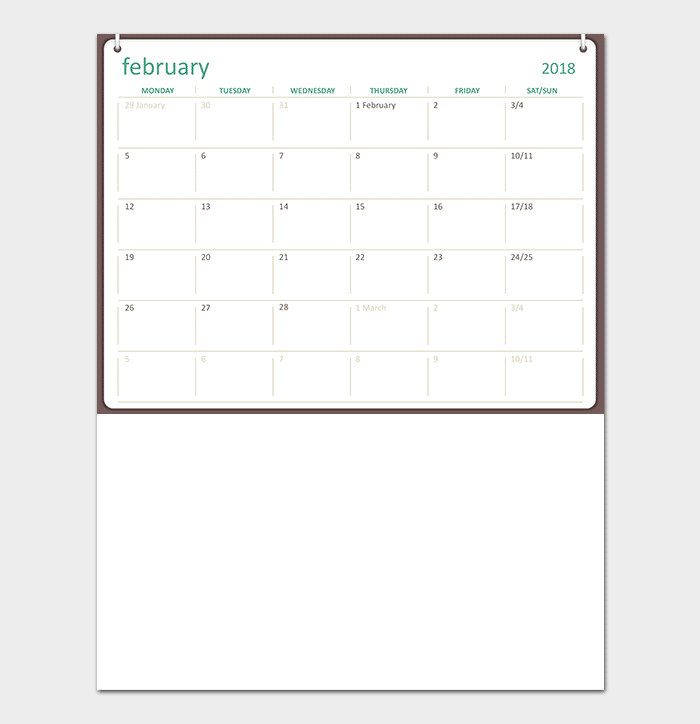 Your smartphone is also subject to infinite notifications from numerous apps to choose from, so your calendar app’s notification may be drowned out in a sea of ringtones and vibrations. 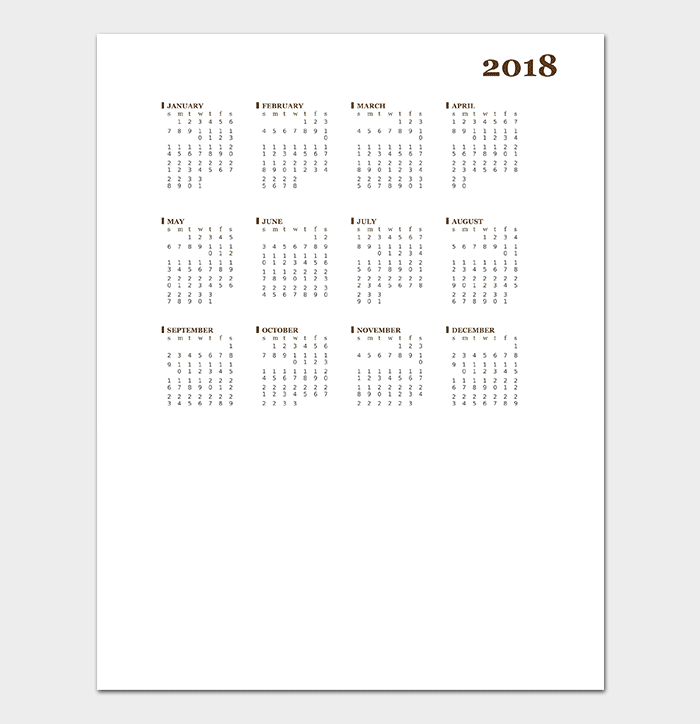 In addition, they require the user to open, record, save, and delete important dates on the app – something that most people just don’t want to go through the hassle of doing. 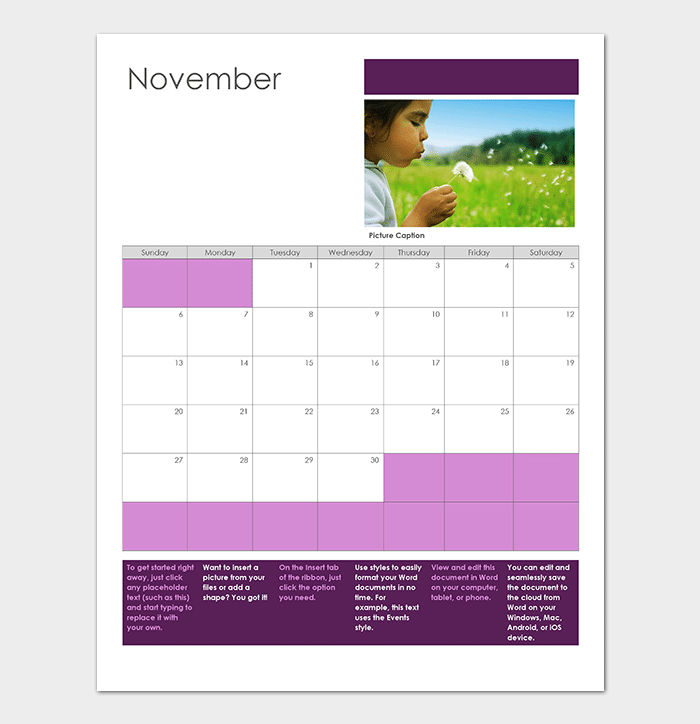 In the end, it comes down to personal preference, but printable calendar templates are a time-tested way to maintain organization.